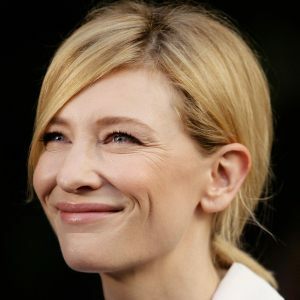 See the gallery for quotes by Cate Blanchett. You can to use those 5 images of quotes as a desktop wallpapers. I just don't see myself as the heroine in my own narrative. I think we should stop drinking bottled water. There's no need to be drinking it if you're living in western communities. I went through a mod and goth-phase when I decided that I wouldn't ever be the bronzed beach-bunny. I started going as pale as I possibly could. I'm always without sleep. I've got two kids. I understand sleep deprivation on a profound level. I'm not particularly interested in playing characters that think the way I do. I'm not sitting on a soapbox telling women what they should and shouldn't do, but I know what works for me. I'm scared of actors with a scheme. 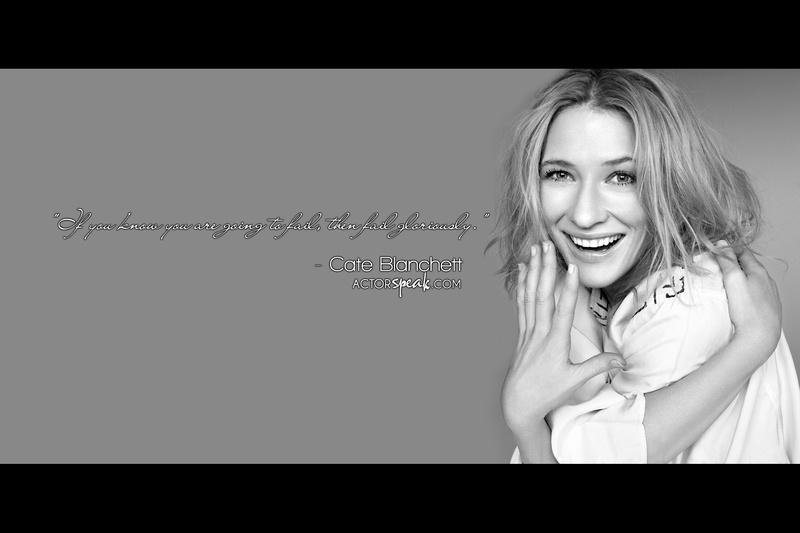 Much more quotes by Cate Blanchett below the page. Look, I live in the modern world as much as anyone else. Marriage is a risk; I think it's a great and glorious risk, as long as you embark on the adventure in the same spirit. My kids don't watch any TV, but they watch videos and films. I'm sure they watch it at friends' houses. Some ideas, like what you're going to do with your life, take time to form. The one thing that all great cities have in common is that they are all different. There is not a lot of separation between work and home life. Well, I've never looked upon myself as being a beauty, per se. When you're a performer, of course you want an audience, but it's very, very different from courting fame. You can't really achieve anything in three years. I discovered early on that some performers live their life in order to act, so all their relationships are simply an experience that they can feed back into their work. Which I find vampiric. I have the embarrassing thing where often if you're watching a film, you kind of go through the emotions and the thought stages that your character went through, but you sort of do it with Tourette's. So I end up often crying when I'm crying, and looking angry when I'm looking angry, so it's pretty ugly. I've an enormous respect for my mother who at the age of 39 raised three children, and I grew up with my grandmother in the household. And so it was a really strong household of women - my poor brother! It was great growing up with so many generations of women. I don't understand a way to work other than bold-facedly running towards failure. I think Pilates is great, especially when you can do it with a trainer who keeps you on track. Don't you find that work, if you love it, is actually really invigorating? I don't consciously think of how parenthood has changed me but I'm sure it must have. When something is a vocation, you don't really make a decision about it. For me, I think the bigger something is, the more difficult it is to make it nimble and fleet afoot.